I love supporting all-vegan businesses, and I love supporting women-owned businesses, so when those two combine I am always extra delighted. Boho Utopia, therefore, is right up my alley. I visited in 2017 for the Christmas afternoon tea, and I watched with interest as they switched to an all-vegan menu at the start of 2018. Since then I’ve been eyeing up their massive breakfasts, delicious bakes, and extravagant freakshakes on Instagram, just waiting to get back and try them. I finally got my opportunity when I was home in December. It’s a bit of a trek from my mum’s house to Withington, where the cafe is located, but it was worth it. 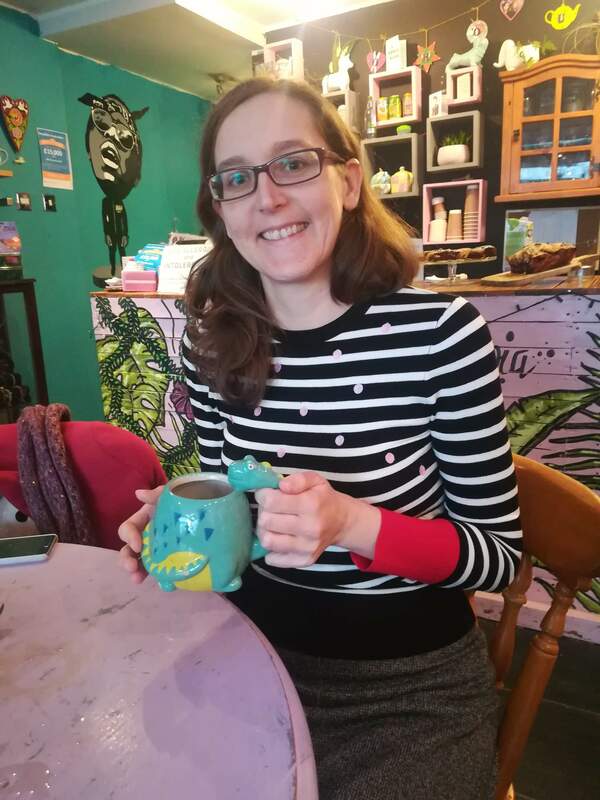 It’s a really relaxing, friendly place, and perhaps my favourite thing about it is that you can choose your own mug from a very exciting array. I couldn’t resist this dinosaur mug, of course. 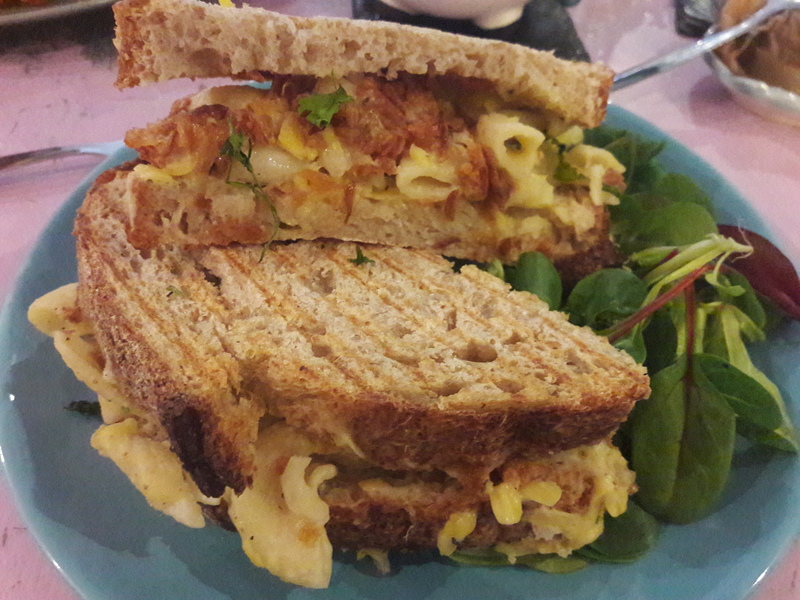 Equally irresistible was this mac and cheese toastie. I’m absolutely addicted to mac and cheese, and surely sticking it between more carbs is the only way to improve it. This was delightful. Perhaps Dr HH made the winning choice with the big breakfast. The hash browns were wonderfully crisp on the outside, and the bread for the toast was also very good. The mushrooms and cherry tomatoes were well-seasoned and well-cooked. The BBQ jackfruit sounded like an exciting addition, but he found it a little underwhelming taste-wise and not quite as tender as jackfruit usually is. But the homemade baked beans were extremely flavoursome, and the bacon was the surprise hit of the whole spread – it’s quite rare to get good fake bacon, but this was a triumph of both taste and texture. I’ll certainly be ordering this when we go back. And we finished with this magnificent concoction. It has long been a goal of mine to try a freakshake (that’s a normal ambition to have, I assume), and there’s talk of them being banned in the UK for health reasons (which seems weird when cigarettes, alcohol, and meat are all still approved, and I’m guessing there are very few people who have a shake every day), so I had to try one while I still could. We shared the ‘Ain’t no Oreo back girl’, and I certainly couldn’t have tackled it solo. As you can see, there’s chocolate sauce around the glass, and the shake was presumably made from blitzed chocolate ice cream and milk. There were little Oreo chunks stuck around the top of the glass, and the shake was topped with a brownie and a mountain of cream. We had to remove the brownie, which I’m hoping is the correct etiquette – I was very glad to have Dr HH on hand to discuss how best to approach this beast. It was such a treat, and worth both the mess and the wait! They have a few other shake options, plus some decadent hot chocolates, which might have been more appropriate for the season, but who cares?! I was really happy to finally achieve my freakshake dream, and just to return to this cafe a second time. Importantly, they were playing some of the greatest hits of the ’80s and ’90s while we ate, and we were enjoying the tunes so much we really didn’t want to leave – a good soundtrack is always important. I’m not sure life gets much better than sharing a freakshake with the person you love in a vegan cafe while listening to Spandau Ballet! 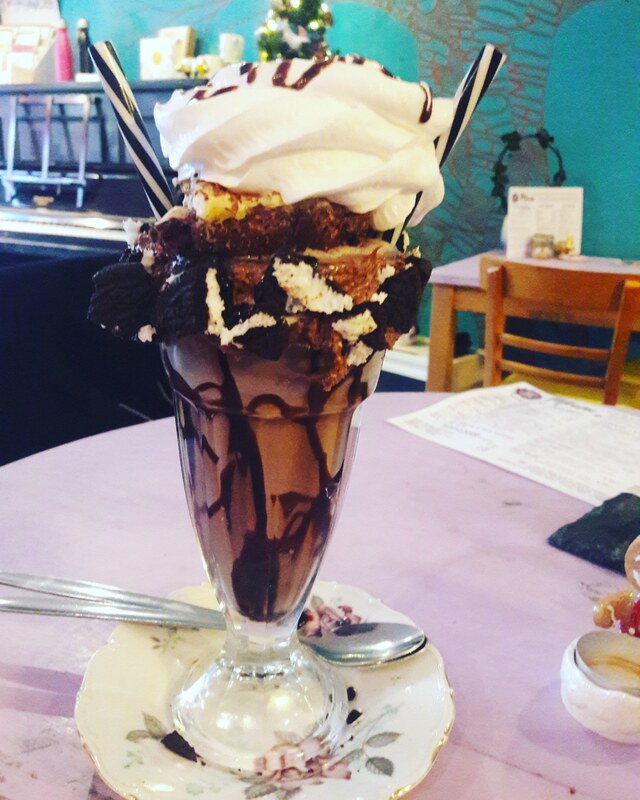 This entry was posted in Travel and tagged Boho Utopia Manchester vegan, vegan freakshake Manchester, vegan Manchester, vegan travel. Bookmark the permalink. My God this looks absolutely 🤤 I’ve never been to Manchester and if I do ever go, that’s where I’ll be eating! Great choice! 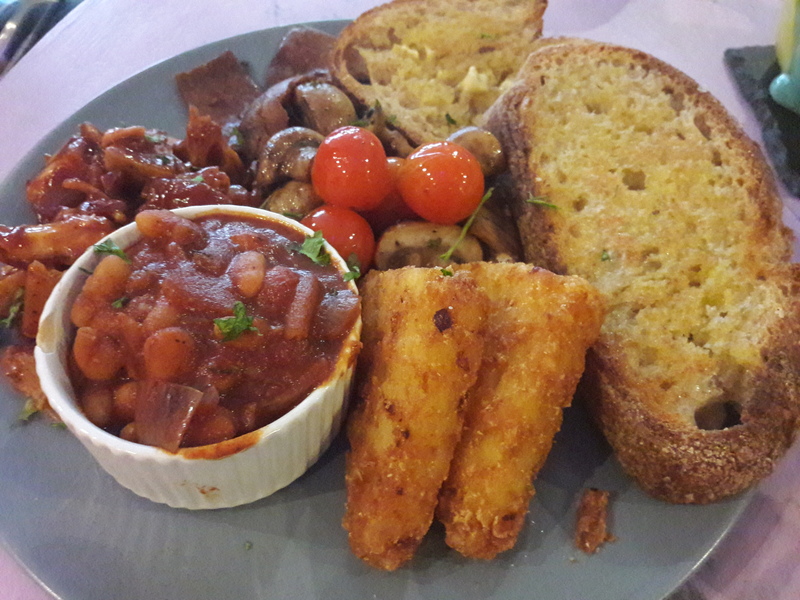 Though there are plenty of other vegan spots to visit too, you won’t go hungry in Manchester! Those meals look great! I have been hearing about so many vegan options in Manchester lately! Wish I could visit! 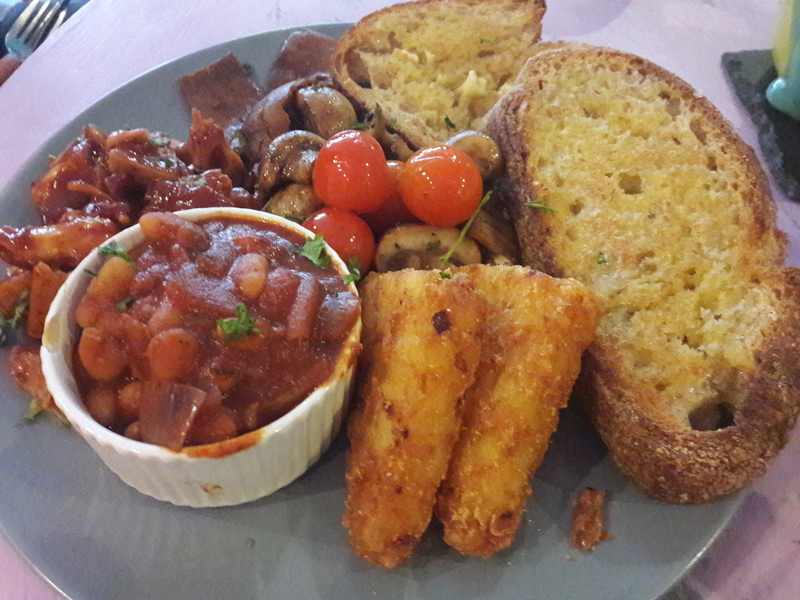 There’s lots of great vegan food in Manchester, I highly recommend it! Oh, it’s a really nice city too! Try and ban freak shakes? How does one do such a thing?! I mean I assume people sometimes will just eat the whole thing, but I can only imagine most people need to share them. I know, it seems completely ridiculous and unnecessary. How regularly do they think people eat freak shakes?! The mac & cheese toastie sounds amazing and the freakshake looks quite impressive! Yes, I think I need to start making my own mac and cheese toasties!